Like being in two places at once, with eyes in the back of your head. At Paradowski, our talent retention plan is to retain talent. By that we mean we employ the best in the biz no matter where they live. That’s led us to have remote employees in 5 states. It’s also led us to think, what could we build to make them feel like they’re in the office when they miss us and our stockpile of La Croix? Enter the Telepresence Rover. It was going to be easy enough. After all, the parts already existed and had been used by other electronics for decades. We just had to isolate the pieces and give them a common brain. 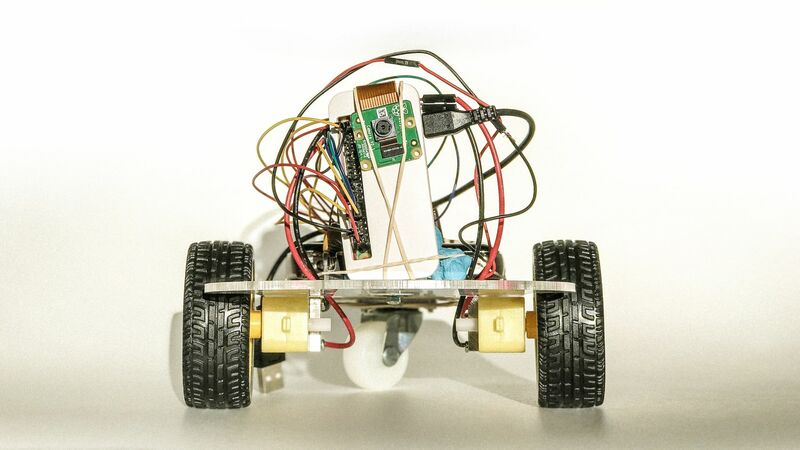 A remote employee spearheaded the effort, starting with basic DC motors to power the wheels. A Raspberry Pi Zero computer and another small computer were mounted onto the chassis, powering our Frankenstein’s eyeballs (the everyday consumer device, a Ricoh Theta 360 camera to be exact). Everything was enclosed in a clear plastic box. Now, how to let the Rover communicate what it sees to whoever was inhabiting its body? We installed web RTC for video—the same technology used in Google Hangouts. Then, we created a control web page. Every person who clicks the link to drive the rover overrides the previous session and is instantly able to move the machine (loud as it may be) and see what it sees in real time. All by using their computer or smartphone in their home office or while waiting in line for a slice of cheese pizza. In true Paradowski share-everything-you-can fashion, our remote employee handed off the instructions to an in-office employee, and Paradowski now has a pair of Rovers that we’re thinking of racing with Roombas.